2 analog inputs and outputs. 24-bit stereo S/PDIF digital I/O. 2 analog TRS inserts. Headphone output with dedicated volume control. 0-latency monitoring. 100% USB powered. Pro Tools 6.4 LE software. Pro Tools systems are very specialized versions of what are commonly referred to as a digital audio workstations 1/2 computer-based audio production environments operating entirely in the digital domain. Digital audio workstations (DAWs) essentially replicate the functionality available in analog studios, offering recording, mixing, editing, and even mastering capabilities all in one system. The express purpose of Mbox is to make Pro Tools available to you as readily and effortlessly as possible. Getting started requires only an USB-compatible PC or Mac and a Mbox unit. With Mbox, you can literally create a functional, effective project/home studio environment in as much time as it takes to plug in your gear, boot up your laptop or desktop computer, and launch Pro Tools. Read on to learn more about the essentials associated with the Mbox home studio system, in addition to fundamental tools for enhancing your productivity and creativity. You can also check out our Glossary of Terms to brush up on digital audio workstation terminology. Every Pro Tools system begins with a Digidesign-qualified computer, often referred to as the host. For optimum performance, your computer must meet the minimum requirements for the type of Pro Tools system in which you decide to invest. Some of the factors that affect compatibility and performance include the model of computer, its processor speed, its operating system version, its system memory size, its available hard drive space, its display card type, and its monitor's resolution. Mbox is packed with analog and digital inputs and outputs, giving you a variety of means to get sound into and out of Pro Tools. Pro Tools 6.0 LE software, which runs on your computer and enables you to interact with Mbox, features 24 audio tracks, complete MIDI sequencing, comprehensive mixing, editing, and processing power, and DigiStudio remote collaboration support. Obviously, you need a way to monitor your work throughout a given project's evolution. Mbox provides clean, accessible monitoring via 2 output options: a pair of analog balanced/unbalanced outputs with 24-bit converters (for high-fidelity delivery), and a high-quality headphone amp with dedicated volume control (both 1/8 in. and 1/4 in. headphone connectors are supported). Near-field reference monitors and headphones are available from a huge selection of companies such as Genelec, JBL, AKG and others. Although not required, a Digidesign-approved additional hard drive is a wise first addition to any Pro Tools LE system. An approved SCSI drive connected to an approved SCSI accelerator card speeds up the data transfer to and from your computer, improves system performance, and provides better stability. Digidesign offers both the SCSI64 Kit accelerator card bundle, and ultra-fast, ultra-quiet DigiDrives in 36 and 73 GB capacities to meet this need. Both options work equally well with professional Pro Tools|HD systems, so if you decide to upgrade at any point, you're investment remains wholly viable. There's nothing quite like getting your hands on a dedicated mixing surface. Motor Mix from CM Labs greatly increases the speed and enhances the feel of working in Pro Tools LE. Motor Mix is a scalable, low-cost control surface with motorized faders and controls for nearly every operation available in Pro Tools LE. Pro Tools LE not only allows you to create music from home, but also enables you to master and distribute your work directly from your desktop. MasterList CD, available for Mac OS-based Pro Tools LE systems, enables you to create duplication-ready glass masters, one-off reference discs, or complete CDs, playable in any commercial CD player. The MP3 Export Option, with its superior Fraunhofer Institute compression algorithms, allows you to bounce Pro Tools LE sessions to the enormously popular MP3 format for Internet distribution. The MP3 Option also enables you to import MP3 files into Pro Tools for further editing or remixing. Supplementing your Pro Tools LE rig with Real-Time AudioSuite (RTAS) and AudioSuite Plug-Ins greatly expands your creative palette. Plug-Ins are software add-on programs that provide real-time and file-based effects processing without the need for any additional hardware. Digidesign's legendary Development Partner Program provides access to an incredible array of plug-ins from the best names in audio. Reverbs, compressors, delays, classic emulators, special effects, sound replacement, and more are all available for your Pro Tools LE system. Pro Tools LE doesn't just give you powerful recording, editing, and mixing power. You can also create music directly from your computer. DirectConnect is a free Mac OS RTAS Plug-In that allows you to incorporate supported third-party software synths and samplers directly into your Pro Tools LE mixer. Koblo Studio9000 and software packages available from Bitheadz, Native Instruments, TC|Works, Audio Genetics, and others support DirectConnect. Soft SampleCell is a software-based sampler that integrates seamlessly with your Pro Tools LE system. Designed by Digidesign for maximum performance with Pro Tools, Soft SampleCell allows you to store up to 1 GB of 24-bit samples in your computers RAM, and all samples can be output directly into the Mixer window in Pro Tools for further mixing and processing. As you can see, it's easy to build a Pro Tools system and tailor it to your exact needs. And there are many more options available that you can integrate later as your needs change. When configured according to Digidesign compatibility specifications, Pro Tools systems give you an unparalleled level of quality, creativity, and cost effectiveness. If you've checked out any home recording system out there, you've no doubt heard the words "Pro Tools." Without question, it is the industry's leading digital audio production system. There are many reasons why the best engineers, producers, musicians and post-production professionals in the world use Pro Tools over any other digital audio system. Now there is a new version of Pro Tools software called Pro Tools LE -- designed for everyone from musicians to aspiring engineers to seasoned pros looking for a project studio option. It has many benefits you won't find in sequencer-based software applications, giving you a powerhouse studio to make your creative dreams come true. Not only do Pro Tools LE systems give you amazing power and ease of use, they offer you the ability to use nearly the same software application today's top professionals are using on a daily basis. Pro Tools LE powers Digidesign's 2 home studio products: Digi 001 and Mbox. Expand your abilities in Pro Tools! Includes these plug-ins: Moogerfooger Analog, JOEMEEK's SC2 Compressor, JOEMEEK VC5 Meequalizer, Maxim, Cosmonaut Voice, Propellerhead Reason Adapted, Ableton Live Digidesign Edition, IK Multimedia SampleTank SE, IK Multimedia AmpliTube LE, and IK Multimedia T-RackS EQ. 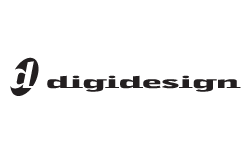 Same Day Music is an authorized dealer of Digidesign products. Full 32 track, 24 bit, 48 KHz performance from just one dedicated IDE/ATA audio drive is supported. Using a dedicated SCSI drive and SCSI HBA (Host Bus Adapter) card will, in general, provide the same performance as an IDE/ATA drive, with the exception that IDE/ATA drives may take a couple seconds longer than SCSI drives to start recording 32 tracks. Each IDE drive must have DMA enabled in the "System" Control Panel. This can be changed in the "Settings" of each IDE drive on the "Device Manager" tab of the "System" Control Panel. For detailed instructions click here. Pro Tools has a single audio file size limit of 2048 MB. This equates to about 4.5 hours at 24-bit, 44.1 kHz. High Speed Drives require manufacturer-approved enclosure to ensure correct heat dissipation, required for sustained drive reliability. Windows XP is unable to create a FAT32 partition on a drive that is larger than 32 GB. If your drive is larger than 32 GB, either use a partitioning application such as PartitionMagic� or use the NTFS file system. PCI vs. AGP Graphics Support Pro Tools 6 systems for OS X are not supported with the older Blue & White G3s or the PCI Graphics G4 desktop models, only the G4 AGP graphics models listed. Dual-processor Support Pro Tools 6.1 is fully compatible with Apple dual-processor G4s running OS X. There is no need to install any additional software. Dual-processor users will experience increased performance over the single-processor CPUs. Additional Computer Requirements Mac OS 10.2.6 Required: Pro Tools TDM and LE version 6.1 software has been tested and approved on all computers listed as supported in these compatibility documents with Mac OS 10.2.6. Pro Tools Does Not Support Energy Saver. In the Macintosh System Preferences, launch Energy Saver, click the Sleep tab, and disable all Sleep features. Set "Put the computer to sleep when it is inactive" to Never. Do not manually put your computer to sleep when running Pro Tools. As with all Pro Tools systems, drive performance depends on a number of factors, including track count, edit density, and the use of crossfades or processing. For sessions with high edit density, we recommend the following configurations. Testing has been conducted using Digidesign's DigiDrives. Performance with other drives may vary. For maximum track count, use of a qualified SCSI HBA (Host Bus Adapter) card is required with Pro Tools|HD systems. Note: The 66MHz version of the ATTO EPCI-UL3D (model # EPCI-UL3D-066) is not supported for use with Pro Tools systems, regardless of whether your Pro Tools system is installed on a 33 MHz or 66 MHz PCI bus. The 66 MHz version is tuned for performance on a 66 MHz PCI bus. However, when Pro Tools is installed in a 66 MHz PCI bus, it reduces the speed of the PCI bus to 33 MHz. As a result, you will receive superior performance with the 33 MHz UL3D, because it is tuned for a 33 MHz PCI bus. Playback within Pro Tools is only supported via the computer monitor. Hardware Codecs are not supported. Use a third party application and card to capture video and import the video into Pro Tools. For the best performance use Avid CODEC DV files created by Avid Express DV. The Mbox should be connected using the included USB cable directly to the computer's USB port. Connection of the Mbox to a USB hub is not supported. "ESS Solo-1 PCI AudioDrive" Sound, video and game controller. This device can be disabled from the "Device Manager" in the "System" Control Panel. Some HP Pavilion models do not meet the minimum requirements as listed in these compatibilitiy documents. Before purchasing these or any computer, please carefully go over these documents and the exact specifications of the computer to make certain that all of the compatibility guidelines have been met. Available until 7 PM (EST) today. Mention special code 20B-Z8PN when you call.